The death took place yesterday of Mr. Tom John, M.A., J.P., at his residence Cae Gwyn, Penygraig in his 75th year. His death which followed a heart attack; came as a shock to his many friends, for he had appeared to be in his normal health on Wednesday evening. Mr. Tom John was one of the best known and most highly respected figures in the public life of the Rhondda, and was an educationalist of national fame. During a long lifetime devoted to public service, he became widely known not only for his sterling work for democratic education, but as a talented musician and a staunch and loyal worker in the cause of Liberalism. A native of Aberdare, he received his early education at the old “Ysgol I Comin,” and was trained for the scholastic profession as the Borough Road Training College, London. After a short stay in North Wales, he came to the Rhondda. For a time he was a teacher at Penygraig; and later took charge of the colliery school established, by the Glamorgan Coal Company, which subsequently was taken over by the local authority. He retired from this post several years ago, after forty years-service as headmaster. In 1884 he was elected a member of the executive committee of the National Union of Teachers, and he remained a member of that body until he retired in 1904. His fellow-members of the scholastic profession conferred on him the highest honour in their gift by electing him president of the N.U.T. he occupied the chair as the annual conference at Llandudno in 1905, and was one of the delegates appointed by the N.U.T. to present the Union’s address to his Majesty King George V. at the Court of St James’ Palace in July 1910. During the early stages of the Welsh education revolt of 1904, Mr. John then president elect of the N.U.T., initiated a movement for bringing together the four Welsh bishops and representatives of the teachers with a view to establishing a truce in the educational struggle. That conference at which; Mr. John was present which took place at the Palace of Llandaff in 1904. In addition to his long and successful career as a schoolmaster, he served the cause of education in many other capacities. 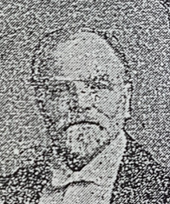 He was closely associated with the administrative of Welsh intermediate education since the passing of the Intermediate Education Act up to the time of his death. He was a member of the Court of the University of Wales; a Governor of the University College of South Wales and Monmouthshire; and a member of the National Council of the Central Welsh Board. He also served intermediate education in his own district, and was a Governor of the Porth County School. These services were recognised by the University of Wales to the conferment upon him of the hon. Degree of M.A., of the University. Few men, if any, did more to create a love of music in the minds of the Rhondda people. He was one of the few remaining survivors of Caradog’s famous “Cor Mawr.” His brother, the late Mr. J.W. John, headmaster of the Ynyshir Schools, was also one of Caradog’s famous band; of singers. Mr. Tom John was for many years Precentor of Salem Congregational Church, Llwynypia, and was conductor of the Salem Choral Society. In his youthful days he and the late Mr. J.W. Jones, Tonypandy, carried a harmonium from Aberdare to Ferndale to assist in the formation of a choral society in the latter district. His last appearance as a musical conductor was at the Westminster Hall, London in January 1922, on the occasion of a Coalition meeting, at which Mr. Lloyd George was present. A hymn composed for the occasion was being sung when Mr. Lloyd George appeared, and it is recorded thar he smiled as he recognised Mr. John and joined heartily in singing under his baton. Since his retirement he had been very closely associated with Sir Walford Davies’ work in connection with the Welsh National Council of Music, of which he was a member. During his long residence in the Rhondda he was the means of raising thousands of pounds for charity by organising various musical events. In his youth he was well-known locally as a cricketer and was up to the time of his death a keen golfer. In politics he was a staunch life-long Liberal and was an ex-president of the old Rhondda labour-Liberal Association, which was disbanded a year to two ago. He was very diligent in the discharge of his duties on the magisterial bench, and was a well-known figure at the Rhondda courts, where his rich sense of humour earned for him the title of “The Rhondda Plowden.” If always prepared with a jest in season, he served the public faithfully in this as in every other capacity, and took particular interest in the reformation of youthful offenders. He is survived by a widow, two daughters and a sister, Mrs Mary Griffiths, J.P., Maesgwyn, Porth, and the wife of Mr. Thomas Griffiths, M.E., J.P., for many years agent of the Cymmer Collieries, Porth. Disclaimer Only for authorized screening and/or confidential presentation at the said author’s discretion. You must not disseminate, modify, copy/plagiarize or take action in reliance upon it, unless permitted by the said author of this file. None of the materials provided on this website may be used, reproduced or transmitted, in any form or by any means, electronic or mechanical, including recording or the use of any information storage and retrieval system, without written permission from the said author. This website will run best on the latest versions of all internet browsers.